We extend great thanks to Bonanzaville as it celebrates — in conjunction with the Jewish American Society of Historic Preservation — the dedication of a Jewish history marker recognizing Jewish settlers in the Dakota Territory and its impact on North Dakota’s agricultural history. By way of context, the American Jewish population at the time of the signing of the Declaration of Independence was 2,000 — primarily Sephardic Jews of Spanish and Portuguese origin. Nearly 250 years later, the 2017 Jewish population of the United States is 6.5 million — 2 percent of the national population. Two million Jews would leave the persecution of the Russian empire and emigrate to the United States from 1881-1924. From this great migration and transformation came Rabbi Benjamin Papermaster from Kovno, Lithuania — a great center of Jewish learning — who arrived in Fargo in January 1891. Rabbi Papermaster would fulfill this role serving the Grand Forks Jewish community for 43 years helping to organize a disparate collection of Russian and German Jewish families. The community incorporated Congregation B’nai Israel — hale and hearty 126 years later. The community grew and prospered. Similarly, the Fargo Jewish community has its great story of birth, growth and contributions to North Dakota and the entire region. Temple Beth El — founded in 1950 — has been a center of community leadership. The synagogue hosted, in conjunction with the Diocese of Fargo in 2015, the celebration and commemoration of the 50th anniversary of the Nostra Aetate with Rabbi Janeen Kobrinsky and Bishop John Folda. Rabbi Yonah Grossman established the Chabad Jewish Center of North Dakota in 2011. Jewish Fargoans have been at the heart of civic engagement. Herschel Lashkowitz was the longest serving mayor of Fargo from 1954-1974. Judge Myron Bright served with great distinction on the Court of Appeals for the 8th Circuit from 1968 to his passing in 2016 at age 97. 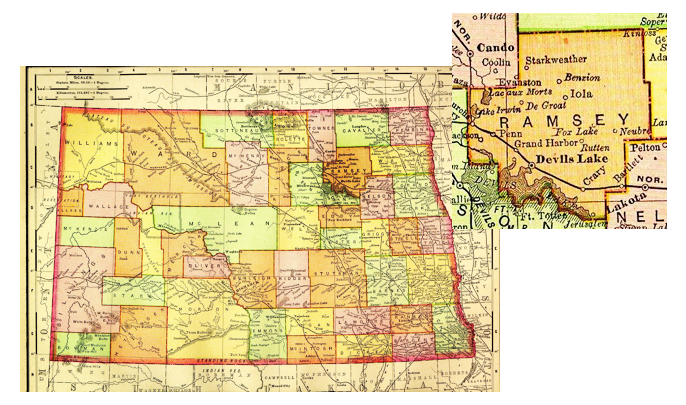 Beyond the future I-29 corridor, the Jewish history of North Dakota unfolded throughout the state. Synagogues were established in Bismarck, Minot, Ashley and Wishek. One of the images of this exhibit is its Honor Roll. This reflects a characteristic of American life of organizing for voluntary contributors to the community and honoring the military service of American Jews in World War II. 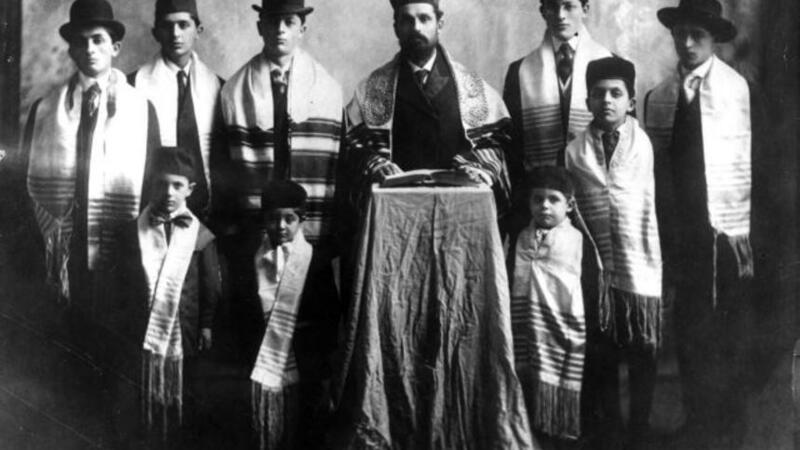 Jews were agricultural pioneers in North Dakota. On May 21, 2017, Jewish descendants of Ashley, N.D., farmers and the local community rededicated the Jewish cemetery. It was a sacred moment of friendship and fellowship across the generations. Gov. Doug Burgum declared North Dakota Jewish Homesteaders Day. From Valley City and Fargo comes the remarkable story of the dedication of Herman Stern to North Dakota and Jews trapped in Germany and Austria as World War II approached. Stern — the first Jewish North Dakotan inducted into the Roughriders Hall of Fame — organized the Greater North Dakota Chamber of Commerce. Internationally — working with Sen. Charles Nye — Stern indefatigably, resourcefully and working against State Department obstruction, managed to procure visas to the United States for 150 Jews in Europe in the desperate days after the Kristallnacht. We invite all North Dakotans to join us at Bonanzaville for this remarkable exhibition. Hunegs is executive director of the Jewish Community Relations Council of Minnesota and the Dakotas.